Sen. Tom Sherman, D-Rye, is pictured in the Senate. 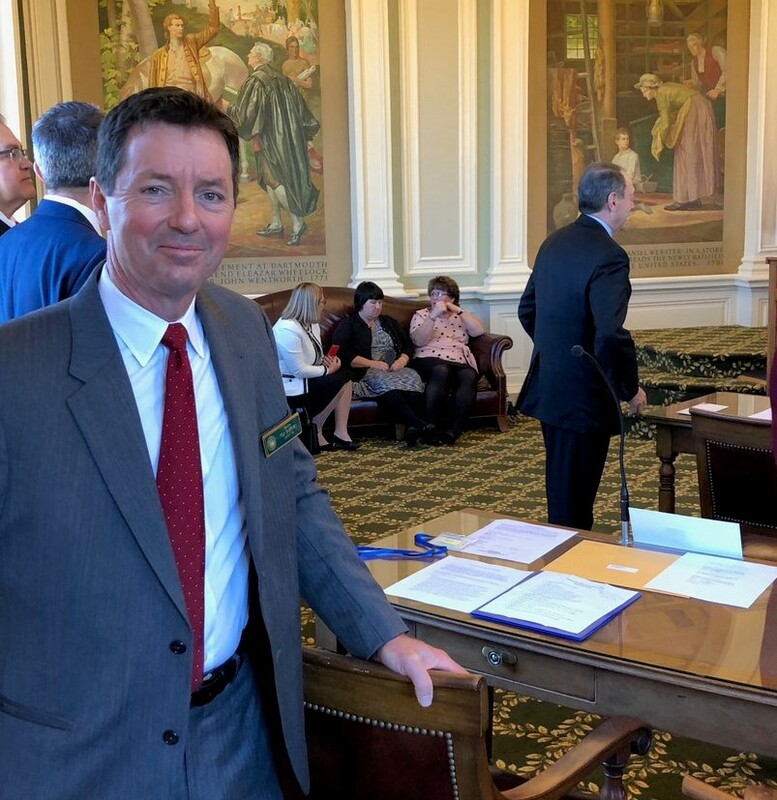 CONCORD—On Tuesday, Senator Tom Sherman (D-Rye) introduced legislation to begin to address New Hampshire’s emergency room mental health crisis. Every day there are approximately 35 individuals awaiting mental health treatment in New Hampshire emergency rooms. I. Authorizes the department of health and human services to use general surplus funds for designated receiving facilities and for voluntary inpatient psychiatric admissions. II. Makes an appropriation to the department of health and human services for the purpose of renovating certain existing facilities. III. Provides for rulemaking for involuntary admission hearing requirements. IV. Makes an appropriation to the affordable housing fund, established in RSA 204-C:5, for transitional housing for persons leaving mental health treatment facilities. V. Requires insurers to reimburse certain facilities for emergency room boarding.